Below are links to Facebook pages relating to General Practice in Australia. is a Facebook community which was started in 2014. It is currently the largest online community of GPs in Australia. 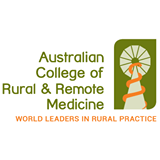 The group "is open to all GPs working in Australia and NZ and the aim is to provide a forum where we can network, chat with one another and to provide a supportive learning environment where we can share experiences, or difficulties." You will need a Facebook account to join. 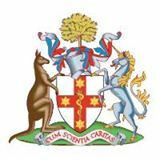 was formed in 1958 with the stated aim "to improve the health and wellbeing of all Australians by supporting GPs, as well as the medical education of the undergraduate, recent graduate, and those already in practice". Click here to go to their Facebook page. The purpose of the Australian Doctor�s Spouse Network is to create an organised centre of thought and action among the spouses of Australian doctors with the goal to contribute to the community by creating healthy medical families through serving and supporting spouses, networking, and philanthropic activities. To joint their facebook page, click here.